Kohler’s Artifacts tapware collection features detailed turnings and finials, elegant spouts and swing-lever handles. Kohler’s Artifacts range of bathroom tapware references the form and ornamentation of the Edwardian period. 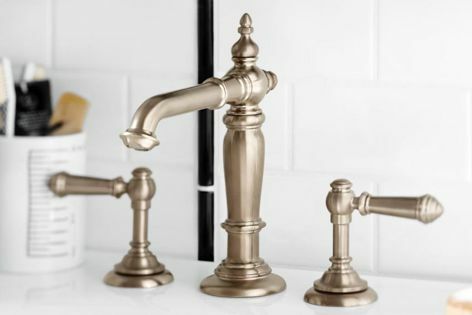 Artifacts features detailed turnings and finials, elegant spouts and swing-lever handles in a choice of three finishes: oil-rubbed bronze, vibrant brushed bronze and polished chrome.